The Allahabad High Court dismissed an Election petition filed by a resident of Rae Bareli challenging the election of Sonia Gandhi to Lok Sabha. Justice Tarun Agarwala held that grant of citizenship to Sonia Gandhi cannot be challenged at this belated stage. Bombay High Court upheld an order by lower court wherein it had restrained feeding of birds and animals in a way causing nuisance to neighbours and other residents. Justice R.M. Sawant observed that people who want to feed birds and animals, should do so in a manner as not to cause nuisance to the neighbours or other residents. The Bombay High Court has held that merely because a criminal case is pending against a person, Arms Licence granted to him by the licensing authority cannot be cancelled. Calcutta High Court held that compensation is payable to the widow of an employee working in the collieries who was missing for seven years and was declared dead by the Civil Court. The Delhi High Court on Tuesday set aside a Trial Court order summoning documents from Ministries of Finance and Corporate Affairs and balance sheet of the party for 2010-11 in the National Herald case. 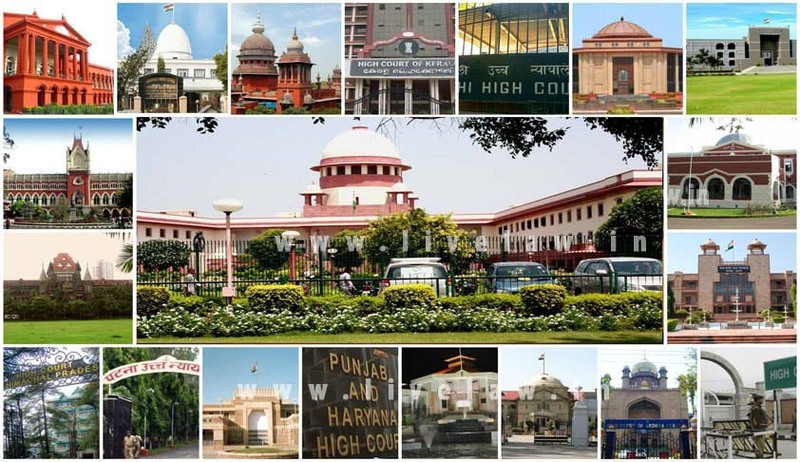 The High Court directed Election Commission of India (ECI) to consider issuing appropriate direction / guideline within the meaning of Clause 16A (b) of the Symbols Order preventing recognised political party in power from using public places and public funds for propagating its reserve symbol and / or its leaders, so as to come in the way of conducting of free, fair and peaceful election and to safeguard the interest of the general public and the electorate in future. The High Court on Monday directed the Government to take a decision on the establishment of All India Judicial Service (AIJS), on lines of the Administrative and Police Services. Gujarat High Court dismissed a Public Interest Litigation filed under Article 226 of the Constitution of India seeking directions to suspend the exhibition of Salman Khan Film “Sultan” in the State of Gujarat. A two judge bench of the High court of Kerala in Brenda Barbara Francis v Adrian Miranda ruled that an advocate cannot plead and argue a case as a power of attorney holder on behalf of the parties. The High Court directed the Central Board of Film Certification (CBFC) to allow the public exhibition of Malayalam movie ‘Kathakali’ by granting the necessary certification. The Court of Kerala dismissed a Petition filed by a IV th Semester (BA English Language and Literature) student of Mar Thoma College of Science and Technology, Chadayamangalam challenging her dismissal from the College on the allegation that she eloped with a boy student studying in the same class and was staying in a lodge, from where, the couple were apprehended by the Police, on a man missing complaint and produced before the Magistrate, who released the individuals to their respective parents. Madras High Court dismissed a Criminal Revision Petition filed by a Husband against the order of Family Court which directed him to grant maintenance at the rate of Rs.5,000/- per month to his wife and daughter. The High Court criticised a Principal Sessions Judge for acting like a motionless machine for cancelling Anticipatory Bail given to a Couple in a Criminal Case even without hearing the Petitioners. The Patna High Court directed all Lok Adalats of the State not to entertain any matter relating to an offence not compoundable under any law. Justice Ashwani Kumar Singh said that violation of this direction will be treated as contempt of court.